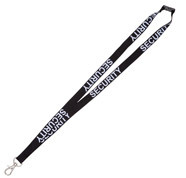 Purely for your convenience, we have added a select range of pre-printed lanyards with common titles and phrases that are often used by larger corporations and at conferences. You’ll see below that we have conference lanyards that you’ve probably seen everywhere such as VIP, staff, security and visitor lanyards. Don’t waste time getting these generic phrases printed when they’re already done for you. 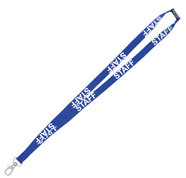 In fact we can almost certainly do a same or next day dispatch depending on when you order.